If you are keen to make a statement, big or small in your bathroom, introduce black. For a more subtle hint you can start by swapping traditional chrome taps for black on your basin or bath, or add a black flush plate to your concealed cistern. 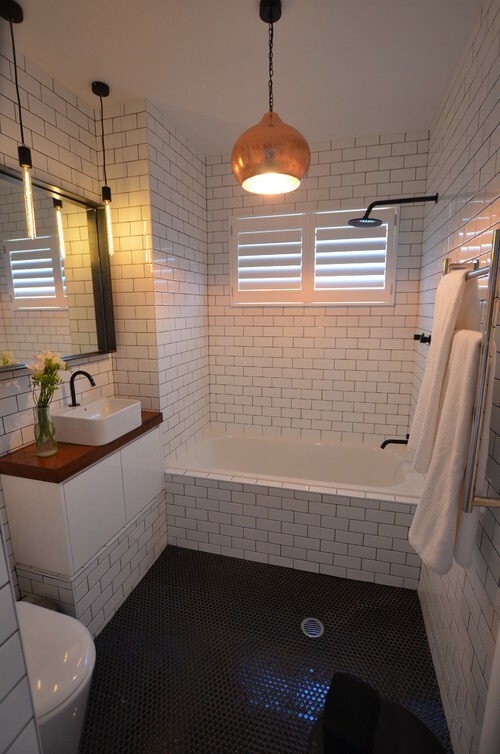 Tiling is also a great way to add some contrast to your bathroom, whether you have a small feature splash back or back and white geometric patterns on your floor, these are all great ways to create focal points in your bathroom. If you really want to go to town, you can always have a beautiful black freestanding bath as the main attraction in your bathroom, set against light tiles to create real contrast. By adding a bit of black to your bathroom or cloakroom you can avoid that clinical look and make your pieces really stand out, creating a fantastic focal point all your guests will talk about. Here are some examples of how to introduce black into your bathroom.